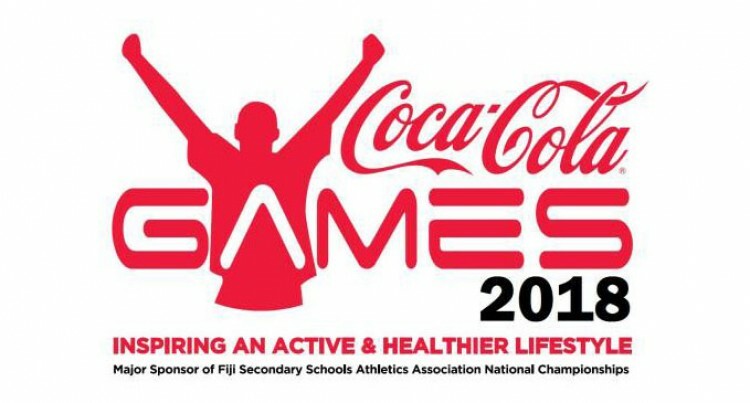 For as long as the Coca-Cola Games, and previ­ously Fiji Finals have been held, rivalry and – in many cases – everlasting friendships have been found. Spectators have added to the sea of colours each year when in attendance armed in the colours and flags of the schools they support. This meet, probably the biggest school athletics event in the region, was first started, with the inten­tion of lifting our athletes to perform to their best. Schools in the old days showcased their own athletes who had come through their school system from the beginning. That has all changed because now there appears to be poaching of athletes to gain an advan­tage over other schools. It is really the schools with the biggest backing, mainly financially and more powerfully influence from former students, which have created this new scenario. It appears these days that athletes are more prone to showing their dislike towards each other and here we are talking about social media. This rivalry is actually happening right now on so­cial media rather than athletes and supporters taking it out on each other in the actual competition. Other social sites like Twitter had played a large role in this behind the screen talk. Look at the aftermath of the Shane Tuvusa contro­versy that has attracted a lot of idle minds and those who scan the internet for such controversy. “This year over social media, I noticed Twitter be­coming a place where it’s okay to harass others and the more re-tweets and favourites the better for the bully. Athletes and even coaches engaged in belit­tling the opponents and showing off. But, when push comes to shove it seems the talk on Twitter doesn’t compare to the walk in the game. “Rivalry in support is supposed to act as a great mo­tivator for players, not a distraction from why they’re really playing the game. Healthy competition is supposed to bring commu­nities together and show the athletes that they have support. The idea of positive rivalry has subsided slowly over the years and almost disappeared in today’s society. The protest was raised against Tuvusa’s start in the 200 metres final is an example. The International Amateur Athletics Federation’s Technical Committee recommended some years ago a new system of start team judges managed by a judge (known as a start co-ordinator) under the supervi­sion of a track referee. Look at the number of track officials at the start of each race of the Coca-Cola Games and this race in particular who allowed it to finish with Tuvusa tri­umphant. No complaints or false start was noticed and this was only noticed by those charged with re­viewing the start after a protest was raised. Well and good it was fair to review and a re-run was ordered, but the most intriguing part was Tuvusa had to do it on his own, even though he had “won” the race. Can anyone, with all honesty, say Tuvusa would have recorded a better time than what he finished with? One’s time can only be good if he or she is compet­ing against rivals, hence the word competition. This was grossly unfair on Tuvusa because those who protested should have taken the field again in the re-run to prove things once and for all. We must remember that we are dealing with a young upcoming athlete who will one day bring glory to Fiji. The Fiji Secondary Schools Athletics Federation needs to iron all this out before next year’s competi­tion. If not, while such incidents are allowed to continue, the athletes and bitter rivalry will continue to esca­late on social media with Twitter and other sites com­ing out victors, not the athletes. Editorial: The Challenges Of Working Mothers, What Are We Doing About It ?